A ground floor new luxury 1 bedroom apartment located within a private gated development in the heart of Iver. Complimentary Taxi service to the train station morning and evening and bikes provided. 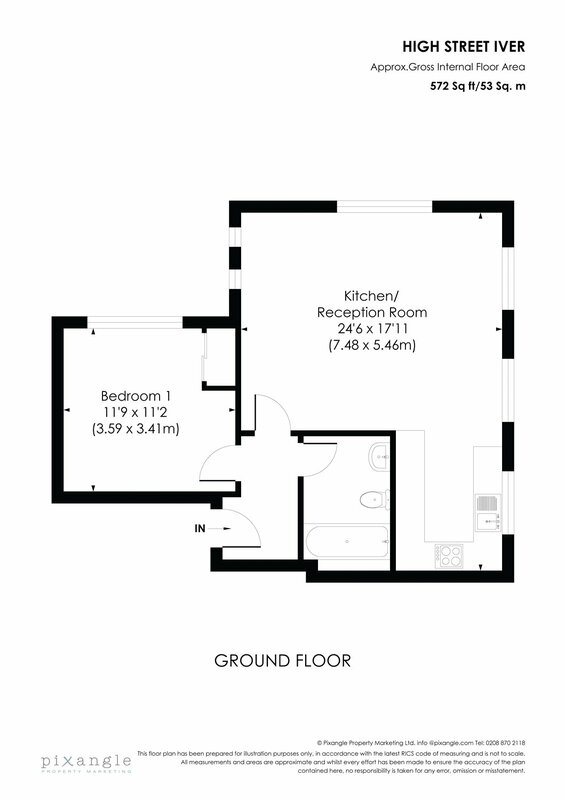 Apartment 1 is a one bedroom ground floor apartment at 572 square ft, which includes an entrance hall, open plan living room/kitchen, double bedroom and bathroom. The bathroom offers designer tiling and fittings with LED mirror cabinets.